Traditional college is becoming less of a necessity, thanks in part to certification programs. This is especially true for those interested in working in a technology field. Becoming certified is a great way to set yourself on a career path or get your foot in the door with an IT or networking job. The catch with these certification programs, however, is that you’re required to study for and take a test to earn your certification — and everybody knows how tough tests can be. To become a Cisco Certified Network Professional (CCNP), you must first be a Cisco Certified Network Associate or Cisco Certified Internetwork Expert. If you qualify, you’ll be asked to take three exams — ROUTE, SWITCH, and SHOOT — which means plenty of studying. What does a CCNP do? A CCNP deals with the planning, implementation, verification, and troubleshooting of Cisco-based networks. After certification, a CCNP generally specializes in a particular area such as voice, security, or wireless. A CCNP may land a job as a network engineer, network administrator, or Information Technology manager, just to name a few. For a network administrator, the median annual salary was $75,790 in 2014. 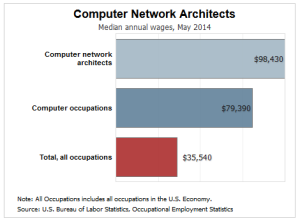 In contrast, a computer network architect had a median annual salary of $98,430 per year in 2014. The key difference between the qualifications required for these jobs is the experience — a Network Architect generally requires at least five years of experience in the field. 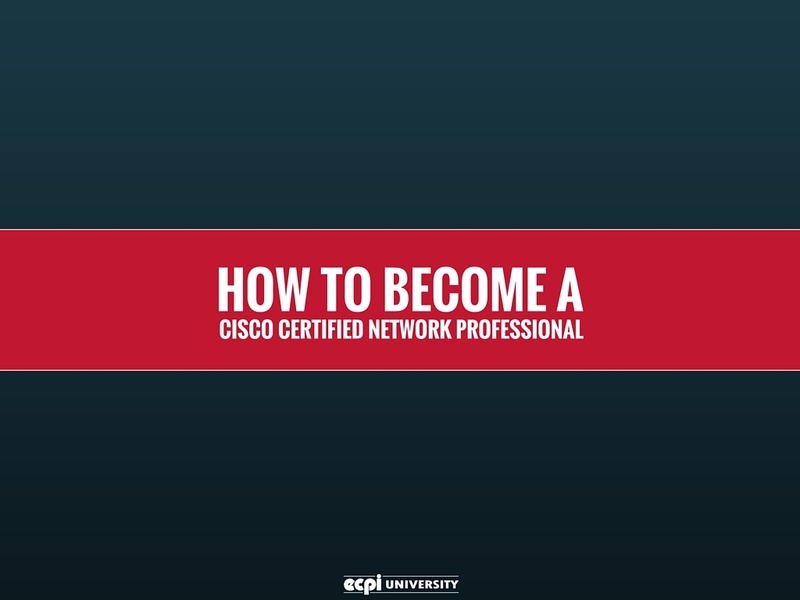 The path to becoming a CCNP is one that requires knowledge, time, and experience. To begin the path, you’ll have to take the ICND1 exam to become a Cisco Certified Entry Network Technician. This exam consists of 45-55 questions and costs $125 per attempt. After this, you must take the ICND2 exam. It consists of 50-60 questions and costs $125 per attempt. When you have both ICND1 and ICND2 completed, you’ll have to take the CCNA exam. This exam consists of 50-60 questions and costs $250 per attempt. 642-902 ROUTE: This exam is often considered the most difficult of the three. It consists of 45-55 questions and costs $200 each time you wish to attempt it. 642-813 SWITCH: This exam covers your knowledge of switching. It also deals with securely integrating WLANs and VLANs. It consists of 35-45 questions and costs $200 each time you attempt it. 642-832 TSHOOT: This exam covers your ability to troubleshoot using a combination of routing and switching concepts. The idea of this exam is to ensure you’re using Cisco’s preferred process of troubleshooting. It consists of 35-40 questions and costs $200 per attempt. Since the prerequisites for becoming a CCNP are so simple and the benefits so great, there’s no reason to avoid taking the test if you’re currently an experienced CCNA. The biggest selling point of becoming a CCNP vs. a CCNA is the availability of better jobs, which in turn means an increase in salary. In addition to this, a CCNP will likely find employment more easily than a CCNA or CCIE, due to the sheer number of jobs for which they qualify. One caveat to taking the exams and becoming a CCNP is the cost of the exams. In total, you will have to spend about $1,100 from no certification to CCNP. This is without considering the cost of training materials and potential retake fees for the certification exams. With exams costing hundreds of dollars per attempt, it’s important that you make the most of each attempt. You should never rush into an exam prematurely in order to obtain certification more quickly. Instead, you should consider drawing from the wealth of resources for each exam. For starters, there are a handful of websites offering information and practice test materials. If these don’t suit your needs, Amazon offers a slew of books designed specifically to help people study for the CCNP exam. If a career as a CCNP interests you but the thought of taking on all the exams seems overwhelming, our Cisco Network Academy could be just what you need. The program is comprised of four courses: Routing, Routing II, Switching, and Maintaining and Troubleshooting IP Networks. After completing the courses, there are three exams you can take at the ECPI University Professional Development Center to earn your CCNP certification.